STAR-K currently certifies King David Nursing and Rehabilitation Center, and Tudor Heights in Baltimore, MD; CareOne in Teaneck, NJ; and, Dry Harbor Nursing Home in Middle Village (Queens), NY. The latter two facilities are Glatt Kosher, Cholov Yisroel and Pas Yisroel. 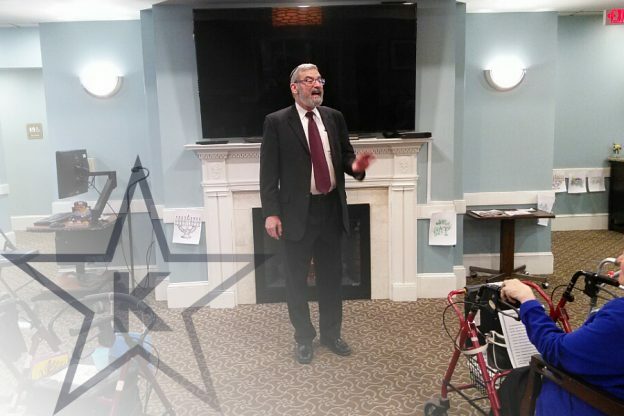 STAR-K Kashrus Administrator Rabbi Shmuel Heinemann is a kashrus consultant for Menorah Park in Cleveland, OH; its campus houses several assisted living facilities and a full nursing home. In providing the gold standard for kashrus in these facilities, STAR-K Kosher Certification goes beyond overseeing the kosher basics to bringing their residents a more holistic “kosher experience”. As STAR-K Kashrus Administrator Rabbi Mayer Kurcfeld put it, the logistics of certifying assisted living and nursing home facilities involve overseeing the cooking of wholesome kosher meals and enforcing rules such as assigning appropriate lunch rooms for staff, monitoring outside food brought into the facility, and keeping the residents’ food strictly kosher. Rabbi Kurcfeld has personally been going the extra mile to create that non-tangible kosher ambiance in Tudor Heights. It started over 18 years ago, when he stopped by the facility that was then called ‘Catered Living’ to inspect the kitchen. He overheard the program director speaking German in an unsuccessful attempt to communicate in Yiddish to a resident. Rabbi Kurcfeld joined in the conversation, speaking and joking in Yiddish. The native Yiddish-speaking Brooklynite continued to visit this resident, chatting in Yiddish, and was eventually invited to conduct a Yiddish class.